As sad as I am that Ginny Sheller's Yarn Along has ended, I understand her decision and am treating this as an opportunity. Yarn Along provided structure for my new blog when I started a year ago as well as a new audience, but change is good, and this change came at just the right time! 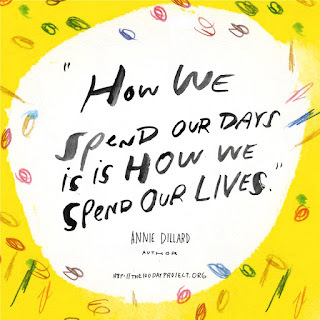 The #100dayproject starts today. What's this project, you ask? It's a challenge to do something creative for 100 days. Most participants do something with art or photography since an integral part of the challenge is posting daily on Instagram. I am not an artist or a photographer. But I am a cross stitcher! I recently returned to cross stitch after a very long hiatus. Pattern content has changed since the early 90s; babies, unicorns, and Holly Hobby have been replaced by cottages, buildings, and houses. Based on this new aesthetic, I've come up with a project that lends itself to my interests and talents. 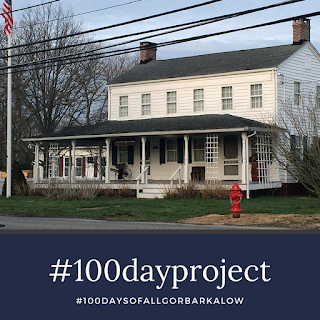 I'm going to create an original cross stitch pattern based on the Allgor-Barkalow Homestead in my hometown of Wall, NJ. Every day on the way to work, I pass what is probably the only historical landmark in my town. In the 20 years I've lived here, I've never visited the museum or attended an event there. I'm not even sure why it's a historical landmark. At the start of the project, I plan to take a picture a day of the Homestead at various times of the day and analyze each with regard to a final image. For example, I need to remove the electrical wires and fire hydrant from the final image. Another issue: the only way to take a "head on" photo of the house is to stand in the middle of the cross street. That's a problem I've yet to solve! This week, I'll start with photos like the one below and take a tour on Sunday when the museum is open. 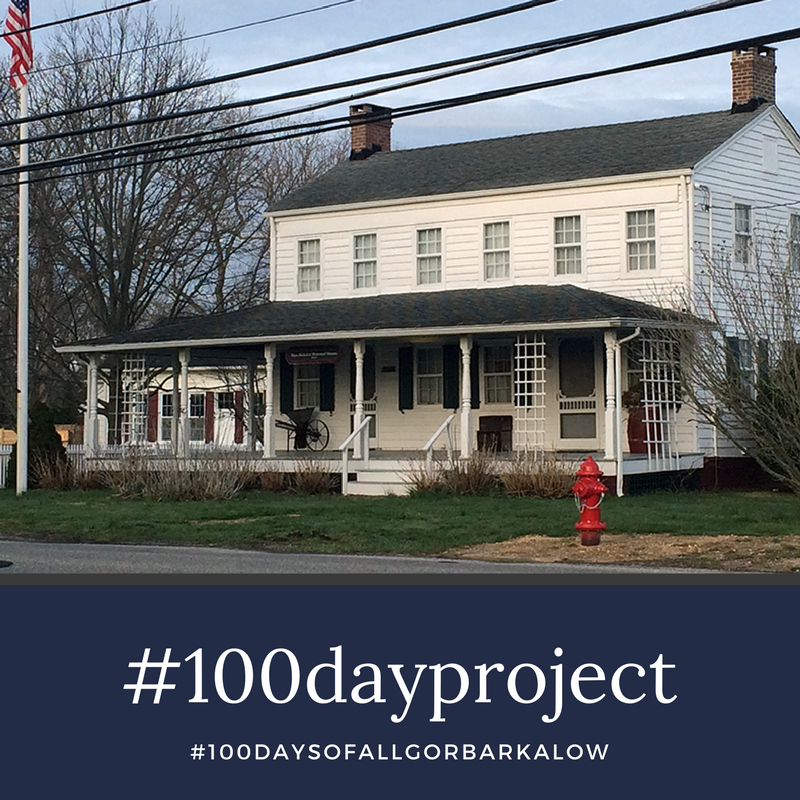 If you'd like to follow my adventure, please check out my Instagram feed and the hashtag #100daysofAllgorBarkalow! You'll also find a weekly update here on the blog. Are you participating in the #100dayproject? Are there any hashtags for this project that you recommend? If so, let me know in the comments! I am also sad about Ginny's decision and hoping this is an opportunity. I think your project sounds intriguing and look forward to watching it unfold. I'm going to enjoy see how your project progresses!